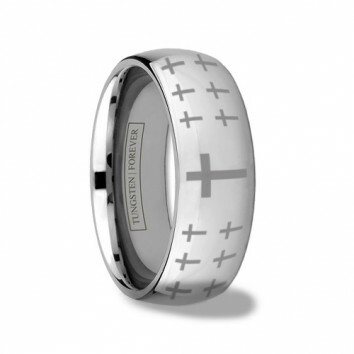 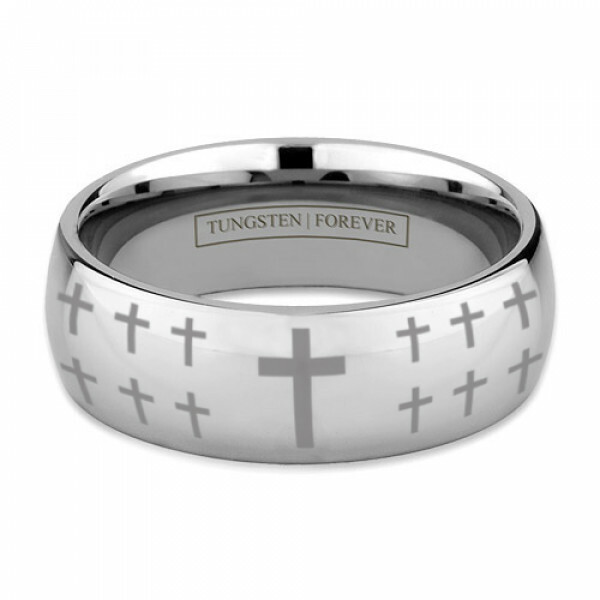 Another Tungsten World laser design exclusive, the DEVOTION features a stylish cross pattern engraved on the surface of our scratch resistant, high polished tungsten band. Available in your choice of 6mm or 8mm, each ring is laser etched to order. 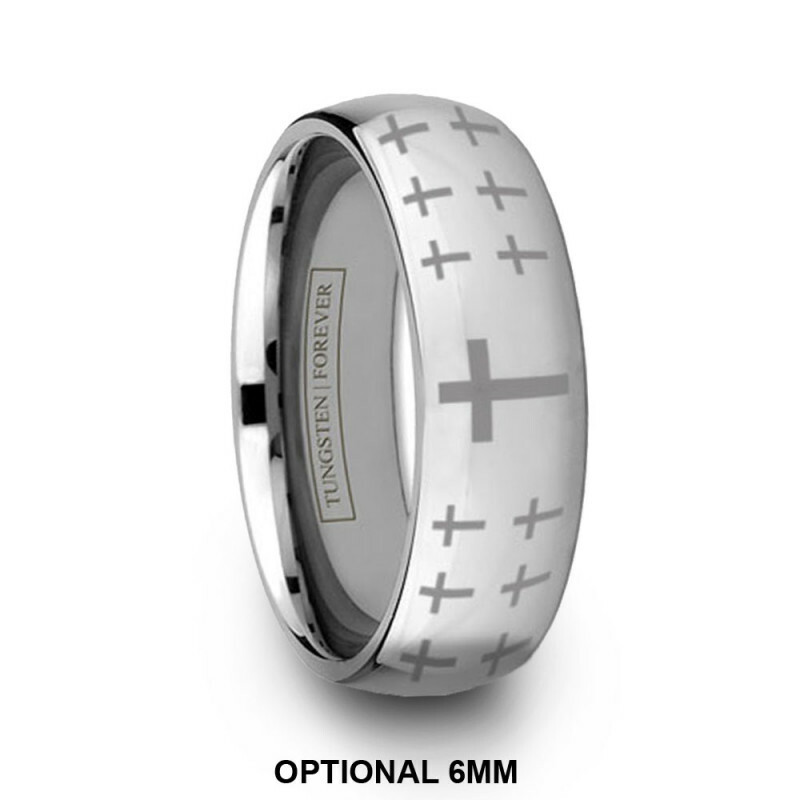 Don't forget to add your personal message to the ring's interior for an added personal touch.